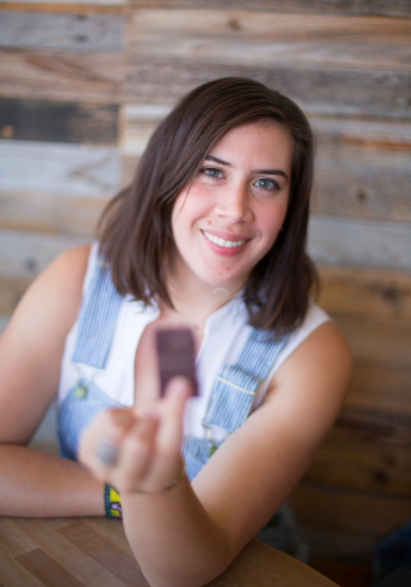 Victoria Cooksey: What was your first experience in trying craft chocolate? How did it change your views on chocolate? Lauren Heineck: It’s perhaps difficult to lump them into the craft chocolate scene as I know it now, but Michel Cluizel was the first single origin chocolate tasting experience I’d ever had. It was 2010 and I was living in Spain at the time; MC was the most high-end chocolate sold at local retailers, followed by Cacao Sampaka and Blanxart, two national brands. I was enthralled by the idea that chocolate could taste like green bananas…the ‘Maralumi (1er Cru de Plantation) 64%’ was my gateway bar. Shortly thereafter I followed closely the progress of Dandelion Chocolate and procured an internship of sorts in the spring of 2012 that was unfortunately shorter lived due to my husband’s visa situation. The cacao bug was well embedded by that time however, and what followed were chocolate reviews (http://www.sobremesainspain.com/2013/05/Marou-chocolate-vietnam.html), trips to factories, and now — starting a boutique chocolate company alongside community/industry endeavors. My views on chocolate didn’t change that drastically at the time (I still purchased chocolate croissants without consideration or asking ‘where is the chocolate from/made?’), because it was difficult – and I believe still is for everyday consumers – to comprehend the true nature of the ingredient, the people that make up the supply and production chain, without checking out library books, or instinctively knowing who to trust. It’s unfortunate that few consumers learn about the dark side of chocolate until very late, if at all, therefore, I admire my colleagues making this a mission to not only train and surprise the palates of their clientele, but create do-better ambassadors and shoppers. V.C. 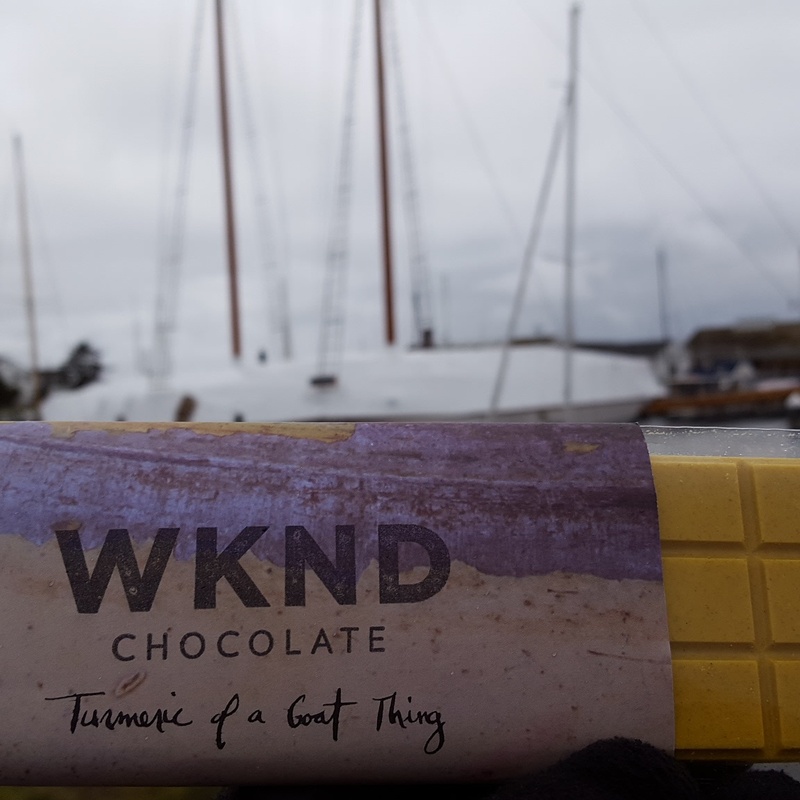 : How did you become interested in making craft chocolate? L.H: I’ve always used my hands; I played national & collegiate level water polo, which is a blend of European handball, basketball, and wrestling in a 25M pool. I didn’t recognize the terminology of maker being applied to myself until recently as I had reserved that term for cobblers, calligraphers, etc. I foresee a life in the cacao/chocolate industry, whether that is eventually at origin, managing my own business to its full capacity, writing, or empowering communities for more sustainable futures. I felt learning to make from the bean was indispensable for understanding other factors of chocolate and its myriad biological elements and human components, essentially learning to walk before you can run. V.C. : What inspires the flavor combinations you use in your chocolate? L.H: The pithy answer would be everything – it could be as profound as the color of the Rivera Maya Caribbean Sea, or as trivial as a diner blackberry cobbler I see on Netflix, however the bulk of my experimentation of flavors harks back to my adoration for the natural world, and obsession with travel and local wet markets. I’m still finding my voice as a chocolate maker, but I do identify as a insatiable chef. Mangosteens from a Bangkok street vendor, baklava in Istanbul, chimichurri from Buenos Aires; I want my creations to be as peripatetic as I am. V.C. : What challenges have you found with making your own chocolate? L.H. : What a question! If you haven’t encountered challenges whilst making chocolate you’re doing something wrong. I want to use these very early stages to improve, pioneer, improve again, while growing a loyal community of people that believe in WKND. The big questions weighing on me right now are mainly: 1) do I want to scale? — even if that means going from hyperlocal sales to neighboring state wholesale accounts and 2) if I do grow, how will I manage – on a very tight budget – the transition to include necessary machinery, especially when the industry is undergoing such high turnover of machines improving upon themselves year after year. V.C. : How did your podcast, Well Tempered, come about? What would you like to achieve through making your podcast? L.H. : The response to this is manyfold. Having worked in startups there is a common force behind many companies basing their business models (or MVP) around fixing a contemporary problem, innovating upon the status quo, or simply creating something that hasn’t existed before. I noticed quickly upon entering the chocolate industry that the brands receiving the most attention and media coverage were equipped with males at their helm; few females were seen or heard. I wanted to highlight and celebrate women in the industry, from the soil to point-of-sale, who pour their entire being into loving, honoring, and propagating chocolate enjoyment (and sustainability through this cacao). My desire for the podcast is to aid the industry to push forward and become less unattainable to the public or future makers, to inspire other women, for instance, to get back into their family’s business at origin because they witness the growth of specialty chocolate, or find more confidence in starting or updating their own craft company (any food or retail product), as well as introduce consumers to makers, job opportunities, and overall life advice…since cacao/chocolate is so deeply connected to us, and we to it. V.C. : What do you think are the most important things consumers should know/understand about the bean to bar craft chocolate movement? L.H. : I feel it’s extremely difficult to express to consumers how lengthy the processes of cacao harvesting, fermentation, and chocolate making are — but they will never care about that if first and foremost they don’t learn to really appreciate it and require higher standards of the products containing or made entirely of chocolate. We are battling a long standing tradition of accessibility and non-transparency. Even before Uber and Postmates there were on-demand chocolate cake, ice cream, candy — any place, any time of the day, in the frozen foods aisle, or at 24-hour gas stations, we had/have chocolate when and where we wanted it. Moving it from a shelf-commodity and craving, to a place of esteem and reverence is imperative for the growth and recognition of the industry, as well as creating a dialogue for change. Like many macro problems facing the world, it also requires collaboration from the big industrial players to eradicate practices that created this dichotomy of price and ethos in the first place. V.C. : When selecting a chocolate bar to try what influences your purchase? L.H. : I like giving newbies a shot — because I am in their shoes. I also like to reward companies choosing accountability over marketing jargon — ditch the artisan, handcrafted approach, I’d pick “Estate X” and traceable “Cooperative Y” any day. Distinctiveness goes a long way, and even something oddball I may find endearing. I also pay attention to how easily the packaging can be recycled or reused. V.C. : Through your journey of making chocolate, eating craft chocolate, and interviewing those involved with chocolate on your podcast, what have you discovered about yourself? L.H. : I feel very grateful that there is so much to learn, and that the impacts of becoming well versed in cacao/chocolate can have a positive effect on others. There is a saying, ‘we have two ears and one mouth, we should be listening twice as much as we speak.’ I’m discovering how vital this is to creating a meaningful life, and the community you surround yourself with. V.C. : Through the interviews you have conducted what direction do you see the bean to bar movement heading. What future would you like to see for craft chocolate? L.H. : Having had the fortune to speak on this subject with many fascinating people, I’d say that the industry is facing a current opportunity and predicament. It could burst forward or plateau – it’s up to us, cultural timing, and impactful marketing/education/consciousness to reach more people. This isn’t to say that it won’t progress financially, that new makers won’t evolve and veterans confirm their products and position in more territories, but that we’ll miss the boat for consumers to latch on to chocolate’s importance and potential past being just a chocolate bar, and rather a driver for change and possibility. I would like to see craft chocolate further creating & ensuring livelihoods and ecosystems; I believe chocolate makers and chocolatiers are not going anywhere, but we have no guarantee as far as the environment, the farmers (average age is climbing, not lowering), or the strains of cacao. There are great programs in place working to create and preserve this infrastructure, but the future demands more. V.C. : Which chocolate bars/makers are in your current chocolate stash? L.H. : What stash? They don’t last long. Finding Pump Street in Colorado is always a pleasant treat (although I’m curious to know how environmentally friendly or not those envelopes are), I have huge respect for the sourcing proximity and story from Marou’s Treasure Island bar, and also adore Fruition’s Hudson Valley Dark Milk…dangerously easy to devour. Soon, I will try Friis-Holm chocolate, thanks to a Well Tempered group member bringing it back from Chocoa – and I just have to say that without even tasting his chocolate, it thrills me to discover makers who really go outside the box. From my gal pals, Map Chocolate & Batch Craft inspire me, and usher me through some of the hard parts of being a maker. Thank you so much Lauren for this interview!